We get a lot of questions from our customers about what exactly Biogenina is, which is not surprising as Biogenina is a patented formula, developed exclusively for Tricovel. The short answer is that Biogenina is the active ingredient for Tricovel, which works on the hair bulb to promote hair growth and counteract hair loss. The three active ingredients in the formula are Biotin, Calcium Pantothenate and Spermidine, created by the Italian pharmaceutical company, Giuliani Tricological Research. Like most of our inquisitive customers, your next question is probably what do the three main ingredients do? Also known as Vitamin H is one of the B complex vitamins, which help keep your hair, skin, eyes, liver and nervous system nourished, in addition to helping your body convert foods into energy. It is also an essential part to cell growth, fatty acid production and metabolizing fatty acids and amino acids. You may recognize biotin advertised on many hair products as it is known to increase hair density and help you produce more hair. Calcium Pantothenate is a calcium salt derived from Vitamin B5 and is commonly used in dietary supplements, as well as hair and skin care products. It helps you generate and metabolize proteins, carbohydrates and fats. Spermidine is a polyamine compound, made up of two more primary amino groups, it has significant effects on cell metabolism, hair growth and hair follicle enhancement. In addition to showing significant increase in the number of hairs in the anagen (growth) phase and decreasing the telogen (rest) phase, it has also demonstrated significant modification on the hair shaft diameter. You may have noticed all three primary ingredients are significant to cell growth and maintenance of amino acids and proteins in your body, while extracting necessary nutrients that contribute to strong, healthy hair. Since your hair is made up of 65-95% proteins, the condition of your hair is closely connected to your diet. As we all know, it is sometimes difficult to maintain a balanced and healthy diet, especially one that is enriched with fresh fruits and vegetables, which contain necessary proteins and amino acids for hair health. A diet low in amino acids can lead to brittle and dry hair, as well as severe hair loss; therefore, it may be necessary to supplement your daily regimen with vitamins to improve your hair’s condition and overall health for the long-term. 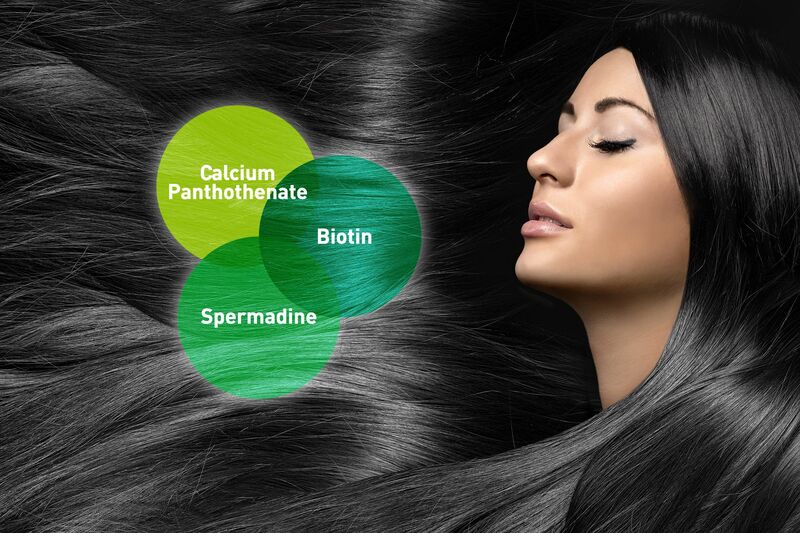 We hope you received some more insights to promoting hair growth , as well as what Biogenina can do for your hair. To learn more about Biogenina or any of our Tricovel products, please leave a comment below! Will this product counteract with any medications ? Tricovel does not have any contraindications . We do recommend to take it with food (breakfast) as absorption is better with food. does taking this pill will make the other part of the body with hair grow more too? like facial hair, leg or arm and underarm? Tricovel is specific to hair bulbs on scalp. Some reports have indicated that eye lashes and eyebrows have grown faster.